Telephone: 0778 9866 312 / email: diana@dihmis.co.uk or contact me on Facebook. Are nutrition and health related? Is healthy eating important? Of course! Like a finely-tuned racing car, your body needs the right fuel (food) and regular maintenance (exercise, lifestyle and mental attitude) to achieve its true health potential. Nothing is more important than healthy eating! Put in the wrong fuel or let it go without regular use and there’s no way it can deliver its full power and performance. Without healthy eating, your body’s engine will cough, splutter and eventually stall. The major causes of death, illness and disability in which diet and nutrition play an important role include coronary heart disease, stroke, hypertension, IBS, inflammatory conditions, obesity, some forms of cancer, Type 2 diabetes, osteoporosis, gall bladder disease, dementia and nutritional anaemias. I have spent my life helping people live happier and healthier lives. I qualified with a BSc degree in Nutrition and Dietetics from Robert Gordon’s University in Aberdeen. I then moved to London whereby I worked in the area of clinical nutrition for over 20 years. I came back home to Coleraine, Northern Ireland in 2009 with my daughter and I work from my clinic at Millburn Complementary Therapy Centre as well as directly with corporate clients as a consultant Nutritionist. Another important area for nutrition intervention are Food intolerances and sensitivities. Which Foods Cause Which Symptoms? Sure, you know about gluten. But when you add lactose, lectins, fructose, casein, alkaloids, saponins and more – the reality is, many foods could be making you overweight, bloated or ill.
Food intolerances vary in severity affecting digestion, skin, joints, energy levels, respiration and even psychological health. The symptoms can happen in a delayed fashion affecting the person from 2 hours to 3 days after consuming the trigger food. Food intolerances can happen when the body incorrectly identifies the protein in food as foreign and potentially harmful. This happens when small particles of food pass through the the gut wall into the bloodstream where they do not belong. The body sees these particles as a potential threat and sends out antibodies to fight them. These antibodies can trigger an immune response which causes an inflammation across a variety of areas including the skin and the digestive system. Diana understands food intolerances and provides professional nutritional advice and a dietary plan to manage your food intolerances. This coupled with gut functional and food intolerance tests will help manage your symptoms and improve your overall health and wellbeing. If you are concerned about your diet or which test is right for you, please contact me. 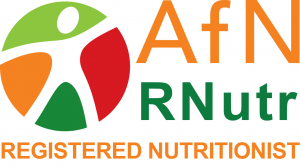 I am a registered nutritionist and as a graduate in nutrition and dietetics, I have enjoyed working in the field of clinical nutrition for nearly 30 years. I am a registered member of the Association for Nutrition and a senior associate of the Royal Society of Medicine. I believe that every person is different due to genetics and environment and I treat each person using evidence based, practical and easy to follow dietary plans to alleviate symptoms or optimise nutrition, health and wellbeing. I came back home to Coleraine, Northern Ireland in 2009 with my daughter and I work from my clinic at Millburn Complementary Therapy Centre, Coleraine as well as the Gatelodge in Derry. "Many thanks for your talk at Dalriada School on Thursday; I learned a lot from it and you got me thinking about the implications of antibiotics in the food-chain; I was aware of antibiotic resistance and assumed that processes were tightly controlled nowadays, but had never really registered the immediate effect of antibiotics on gastric flora. Food for thought!" "Absolutely fabulous best money I have spent in last 10 years.I am 73 and have lost 28lbs last 9 weeks.I found it comfortable to keep on diet and will continue to do so.I am getting my life back"